Middletown, RI – March 28, 2018 – Roger Adamson, Futurenautics Maritime’s chief executive officer, presented to a London audience yesterday the key findings from his research organization’s newly released Crew Connectivity 2018 Survey Report, sponsored by KVH Industries, Inc. (Nasdaq: KVHI) and Intelsat S.A. (NYSE: I). The report is based on a survey of 6,000 serving seafarers, the largest sample to date to complete the wide-ranging questionnaire covering onboard attitudes to the digital transformation sweeping the industry. comply with SOLAS Resolution MSC.317(89) by 1st July 2019. 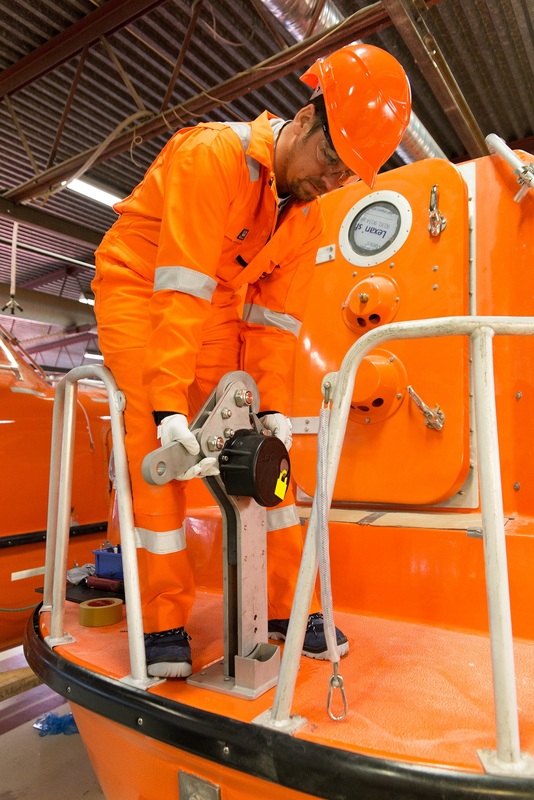 In some instances, this may mean that a lifeboat’s release and retrieval system needs to be modified or replaced on or before that date, normally at the next scheduled dry-docking, as only hooks certified and tested in compliance with the aforementioned SOLAS resolution and named in the IMO GISIS database will be allowed on any lifeboat with onload hooks. Norsafe’s on-load hook release system, called the TOR MK2, complies with all SOLAS regulations and the LSA code. It has been designed with three main priorities in mind; minimal maintenance, high safety precautions and simplicity of use. A key feature is a yellow padlock sign, visible on both sides of the hook, which indicates that the hook is set and the release cables are correctly located. The cables are arranged so that even if the hook is incorrectly reset, and the release handle is forced, the cables are protected from being stretched or damaged. In addition, the on-load release activation requires 4 physical actions to be performed which provides a significant safety barrier against premature on-load release. Norsafe’s global servicing and maintenance teams can ensure release mechanisms are compliant. For more information on re-hooking please contact Norsafe’s service department by e-mailing service@norsafe.com or phoning +47 370 56 333. 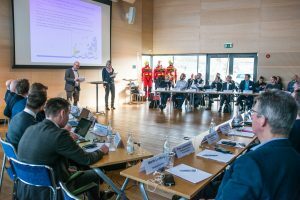 The Swedish Club and Stena Line have completed a major Emergency Response Training Exercise, designed test how Stena’s own comprehensive emergency procedures integrate with those of the authorities and support services in the event of a major incident. The round table exercise took place last week at the Swedish Sea Rescue Society headquarters, with over sixty expert contributors taking part. The drill, jointly planned and conducted by the Club and the Swedish Joint Rescue Coordination Centre (JRCC), tested the levels of cooperation required between the resources and authorities that would be at the centre of a mass evacuation from a passenger ferry in the Gothenburg area. 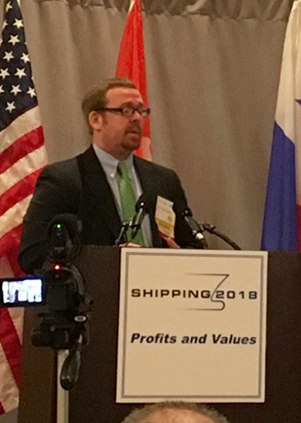 Gautam Kashyap, Thome’s Vice President for Business Development, outlined the Group’s strategies for success at the 2018 Connecticut Maritime Association shipping conference. “Ship Management is changing and the right mix of digitalisation, automation and data analytics are key criteria towards providing greater efficiency, transparency and value-added services to clients in the future,” he said. 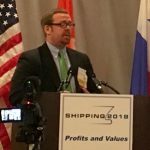 Ship Managers will need to invest heavily in new technology to keep up with changes in the market and Thome has already started this process by developing an Operations Hub, based at its headquarters in Singapore, which enables situational awareness for both duty-personnel and Thome’s crisis teams. This is the first stage in a three-stage process enabling remote tracking of individual ships in the fleet, passage planning, security risk assessment, weather routing, video conferencing, integrated vessel management system (NAU) implementation, and individual on-board CCTV remote monitoring. Two additional stages of improvements in the hub are planned. 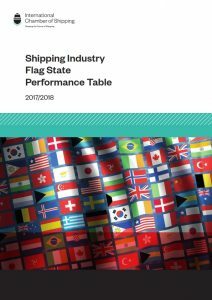 Stage two will further improve efficiency and availability through operational support functions like cargo handling, port turnaround and energy efficiency monitoring. Stage three will concentrate on advanced support covering areas like cyber security, machinery condition assessment and trouble shooting. Crew and onshore training is also crucial and Thome has a very comprehensive programme in place to ensure that all staff receive correct and relevant training for their roles which are updated on a regular basis. 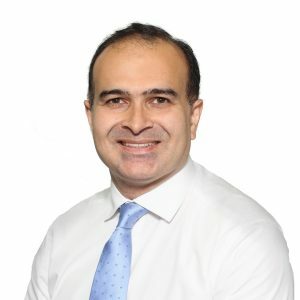 In conclusion, Mr. Kashyap felt that a company’s size would be a critical factor in being able to meet customer demands and industry requirements in the future. Thome has grown from humble origins to having a fleet of over 400 vessels, a crew pool of over 12,000 seafarers, a shore team of over 800 people and 11 worldwide offices. This means the Group can compete on a global scale and is ready for the challenges of the future.